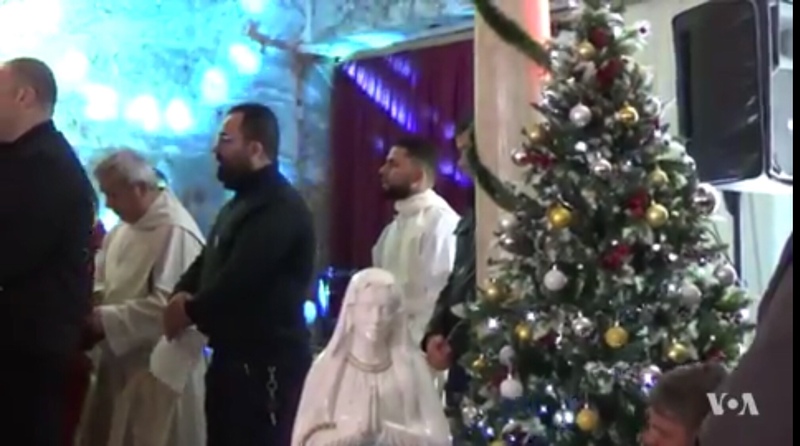 MOSUL, IRAQ — For the first time in the more than three years since Islamic State militants took over vast swaths of Iraq and Syria, Iraqi Christians have gone to church to celebrate Christmas in Mosul — a former militant stronghold. Worshipers and Muslim activists say they are hoping the holidays may bring some healing. “The situation made us so sad. This is our city, our grandparents’ city. We lived here, we grew up here. We built our schools, universities, churches families and friends here,” said Fadi, a worshipper. During the nine months Iraqi and Coalition forces battled to take back Mosul, another million people fled their homes, nearly all Muslims.